Colleges and universities play a vital role in facilitating federal student loans and financial aid to their student body. Enrollment changes make the role a difficult one. Administrators need thorough recordkeeping that monitors changes and provides the U.S. Department of Education (ED) the information it needs. 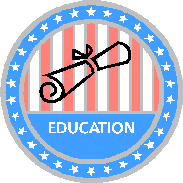 The U.S. Department of Education (ED) recently held its 2016 Federal Student Aid Training Conference in Atlanta. Among many topics discussed during the conference, the following items are the key takeaways to consider for the upcoming award year.